Beauty and the Beast — We never thought we'd sell this outfit, it's so special and can never be replaced. The brown silk chiffon print with metallic thread is vintage, circa 1930s and came from Venice. 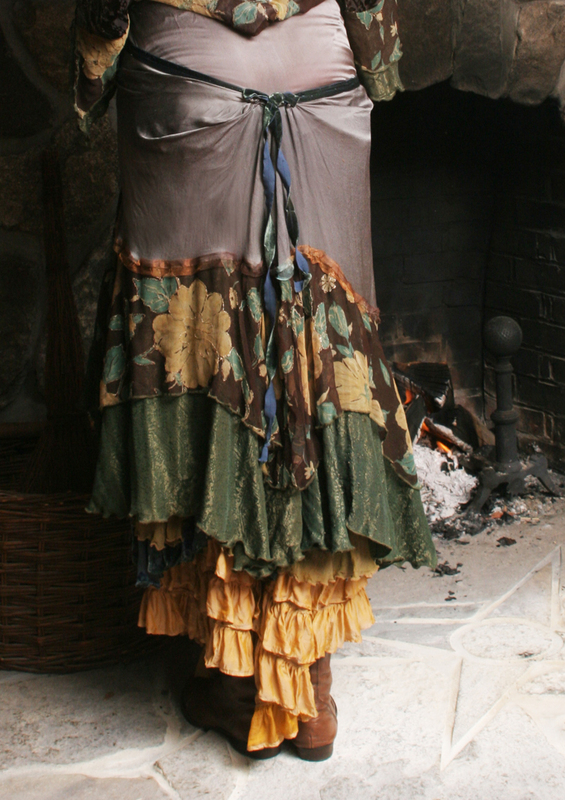 The green metallic silk and brown cut velvet were hand dyed by us, as was the forest colored silk skirt with many, many layers and underskirts. 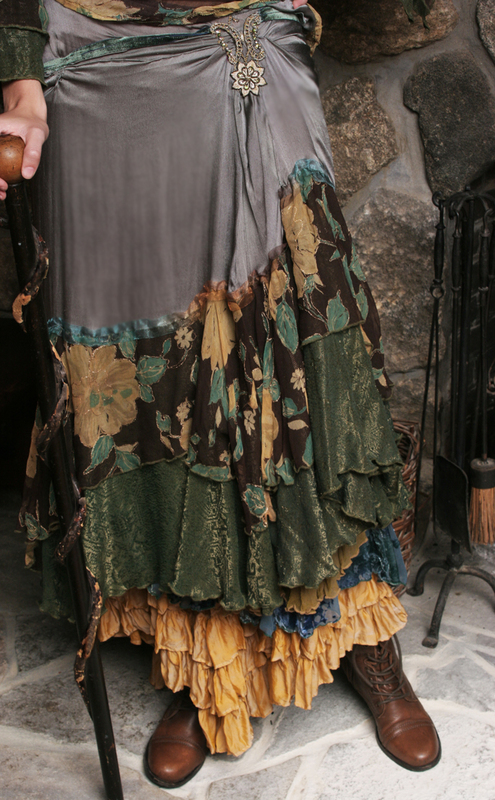 The skirt was entirely stitched by hand and then over-stitched by machine and all the trim was hand sewn. The beautiful trim on the hip is a piece of Edwardian beadwork and worth a bit even without the skirt. The blouse is an oversized Maya Blouse that will fit up to a size 12 and has a hand dyed green silk camisole to wear underneath. The only part of this outfit that is not included is the ochre silk Elyisium Skirt worn underneath. This outfit will fit up to size 12.